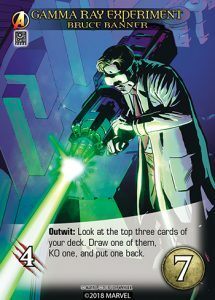 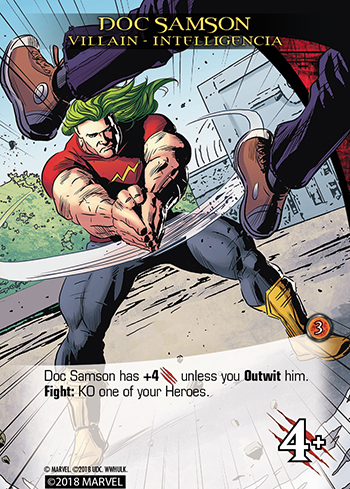 Within Legendary®: World War Hulk exists the duality of Bruce Banner’s brains and Hulk’s brawn, the Outwit keyword is the brains. It represents how Bruce Banner, Amadeus Cho, the Illuminati, and the Intelligencia are among the smartest characters in the Marvel universe. 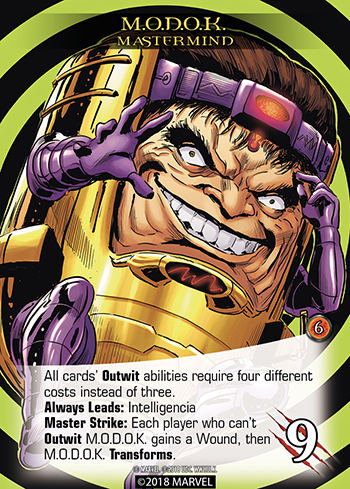 You can use this Outwit ability only if you reveal Heroes with 3 different costs. You can count the Outwit card itself. 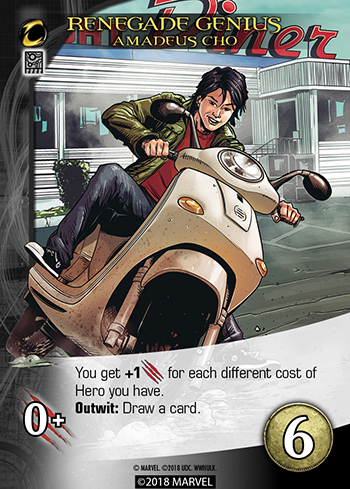 So you can reveal a 2-cost Hero in your hand, plus a 6-cost Outwit card and 0-cost S.H.I.E.L.D. 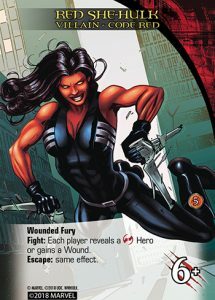 Agent Hero you already played. 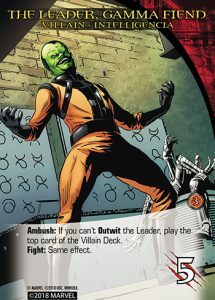 You can choose not to Outwit, even if you are able. 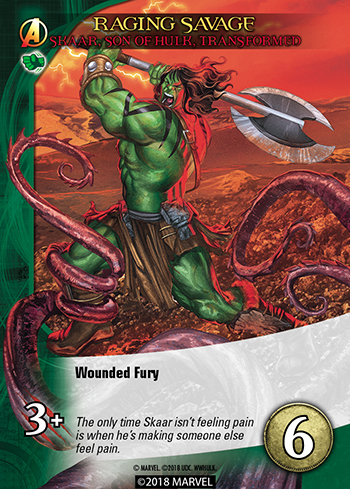 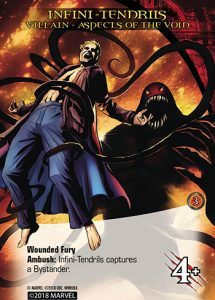 The Wounded Fury keyword represents how wounding a Hulk often just makes it ANGRIER and STRONGER! 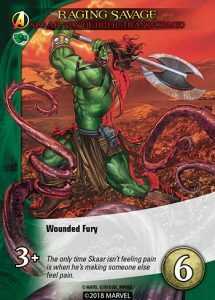 It also includes Villains attacking with more furious bloodlust as they wound you. 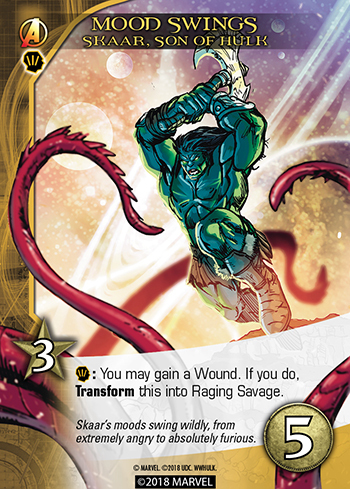 We hope you enjoyed this preview of Legendary®: World War Hulk. Join us next time when we bring back a couple fan favorite keywords. Tasty!